Pineland Telephone offers Lifeline service to customers who have satisfied applicable eligibility criteria as established by the Federal Communication Commission. 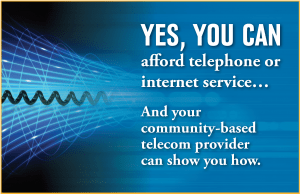 Lifeline is a government assistance program which provides either discounted phone service (home or wireless) or broadband service (home or wireless) but not both, to qualified households. A household is defined as any individual or groups of persons living together at the same address sharing income and expenses (independent economic household). You may qualify for Lifeline if you or someone in your household is receiving benefits from any one of the following: Federal Public Housing Assistance (FPHA), Supplemental Nutrition Assistance Program (SNAP), Medicaid, Supplemental Security Income (SSI), Temporary Assistance for Needy Families (TANF) or Veterans or Survivors Pension Benefit. You may also qualify for Lifeline if your household income is at or below 135% of the federal poverty guidelines. To learn more about the LifeLine Support Program, click here. Click Here to Download our Application to Apply! Your household may not receive the Lifeline benefit from more than one service provider. You may lose your Lifeline benefit and may be prosecuted by the United States government if you violate the one-per-household rule or otherwise make false statements to receive Lifeline. Lifeline is a non-transferable benefit. To inquire about eligibility requirements, please contact our office at (800)-247-1266.